RBG – JUSTICE RUTH BADER GINSBERG is a biographical documentary that tracks the life of the diminutive, serious and quiet force of nature that is the 85 year old US Supreme Court Justice Ruth Bader Ginsburg (RBG). Directed and produced by Betsy West and Julie Cohen it reflects upon the lawyer’s enormous legacy in her distinguished career pushing for an end to gender discrimination under the law. The filmmakers also examine the impact of her dissenting views in a Supreme Court making increasingly conservative decisions that roll back long fought for civil rights. RBG proudly highlights how Justice Ginsberg has become an unlikely pop culture icon. It shows how a reserved, intellectual granny who has no interest in celebrity has become an icon for a new generation of social change makers. She was dubbed “The Notorious RBG” in a 2015 book, a playful reference to rapper Biggie Smalls (The Notorious B.I.G. ), and Ginsburg responds to the nickname with good humour quipping that the two of them have much in common since they were both born in Brooklyn. The heart of this movie comes from the reflections of Ruth, her family, friends, admirers and detractors including Bill Clinton and Gloria Steinem. 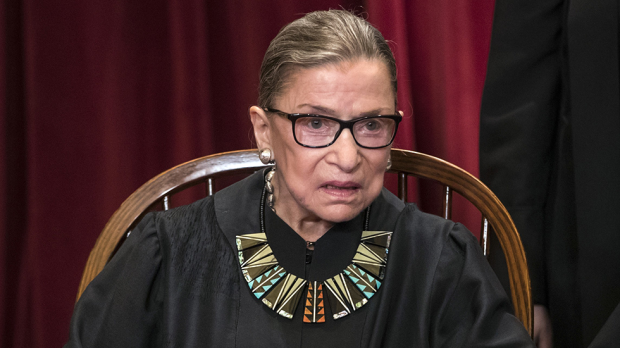 In a rare interview a reporter asked Ruth’s husband Martin D. Ginsberg, himself a successful tax lawyer, what it was like to be the husband of such a prominent Justice of the Supreme Court. He answered that she has learned over the years not to give him advice on cooking, and that he has learned not to give her advice on matters of the interpretation of the law. The directors are making the point that men and women can be equals, negotiating roles and celebrating and sharing each other’s successes. RBG is buoyant and optimistic, but also represents the seriousness and passion of its subject. In a time when liberals and conservatives struggle to find any common ground, RBG exemplifies the ability to strongly represent ones ideals in a respectful way, while recognizing the humanity of your opponents. We get a real sense of the importance of her work through extracts of her speeches from various cases. The use of this documentation highlights the central role RBG has played in taking women from being second-class citizens in the mid twentieth century to legal equality, and her ongoing fight for all US citizens to be treated equally under the law.